Home / Books and Guides / Hiking Buena Vista, CO. 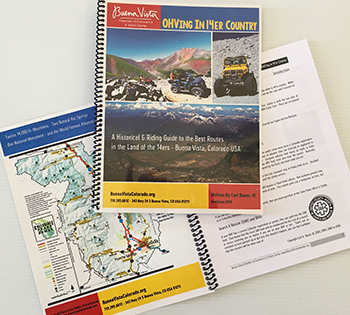 This book contains the details of 36 hiking trails near the town of Buena Vista, Colorado. Trails are graded as to degree of difficulty and provide detailed information about each trail. Also, the book includes information on several sections of the Colorado Trail and the Colorado Fourteeners in the area. This is the most comprehensive book written on this region of Colorado. Price includes tax and shipping.